Religion in Japan can be defined in two ways, official and true. This may sound like a strange situation, but most Japanese people are actually not religious. From my own observations and conversations with various Japanese people, very few people actually practice a religion. According to official documents, most Japanese people are either Shinto or Buddhist. From a little research, this is mostly based on birth records and how the child is registered. It is often harder to tell who actually practices a religion. It is even harder to tell the difference between someone who practices a religion versus someone who is adhering to a tradition, be it a family tradition or a regional tradition as religious practices and Japanese traditions are intertwined. The only religion we can call Japanese is Shinto. It is a religion that is exclusive to Japan. Shinto is a religion based on numerous gods. It is akin to the gods of Greek and Egyptian mythology. The gods are based on their ability to bring good and bad luck and the need for practitioners to visit shrines in order to appease the gods. During the year, there are various festivals and events held at shrines throughout Japan. 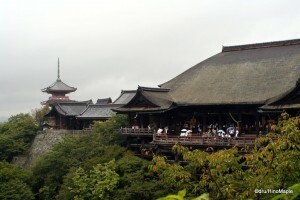 Most of the time, people will visit these shrines, not due to religious belief, but rather due to their own traditions. It is a huge tradition for Japanese people to visit their home shrine during the new year season. Within the first couple weeks of January, one must visit a shrine and make an offering to pray for good luck. It is often coupled with a need to buy a fortune to see if they will have good or bad luck for the year. It is a fun thing to do but a lot of people do buy various objects to prevent bad luck. In fact, during a bad luck year, many men and women will pay up to 10,000 yen in order for a priest to cast out the bad demons for that year. Whether this works or not is up to the person but from the people I have talked to that have done it, they do it a bit more to appease their parents and friends as well as to put their own minds at ease. Buddhism is the second most popular religion in Japan. It was brought over to Japan around the 5th century. It can be very difficult to understand the differences between Shinto and Buddhism. This is due to the fact that both religions were merged at one time and separated in the mid-1800s. 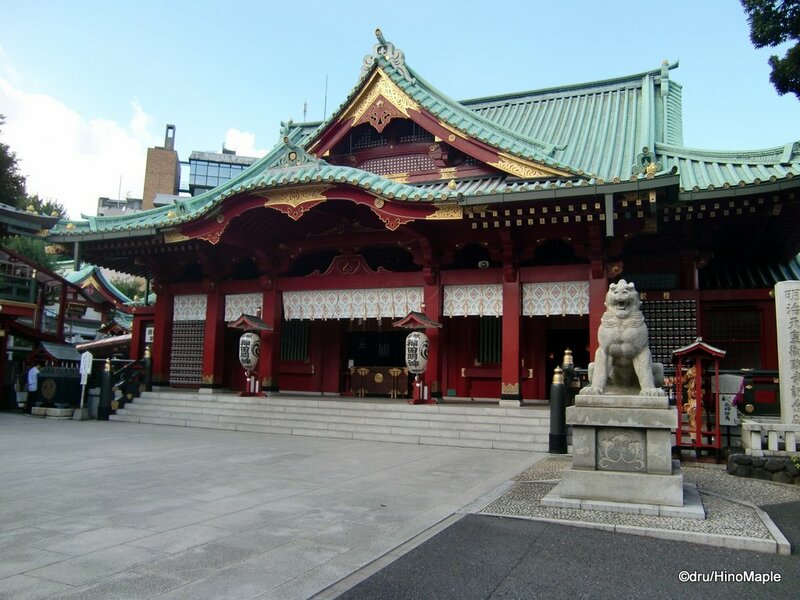 Due to fact that there was a long period where both Buddhism and Shinto were joined, it can be very difficult to know what is a Shinto Shrine and what is a Buddhist Temple. The easiest way to know is to read the name. Anything with a “jingu” or “jinja” is generally a shrine and anything with a “ji” is generally a temple. 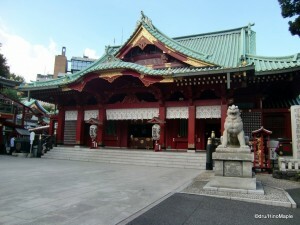 There are some exceptions and often shrines and temples are located next to each other. Another give away is the fact that Buddhist temples have large Buddhas within their grounds, and shrines don’t. When visiting a temple, you may actually run into Shinto gods. When Buddhism and Shinto were joined, the Shinto gods were often the protectors of the temples. That is why you will often see what looks like a Shinto god at the gate of many temples in Japan. Buddhism is very much like Shinto these days in which people just visit the temples in order to practice their traditions. 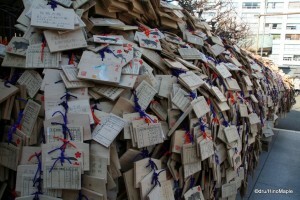 There are dozens of events that occur at the various shrines and temples in Japan. Shichigosan is a religious observation where children aged 3, 5, and 7 go to a nearby shrine in order to have the evil demons exorcised from around them and to pray for good health and fortune. The children dress up in various styles of kimono and visit shrines with their family on November 15th when they are 3, 5, and 7. The other major event in ones life is getting married. While the actual civil union is a strangely boring affair that occurs at the city hall, the ceremony itself, in a traditional sense, is usually held in a shrine. It is a short, yet feels long, ceremony where little is said. Both bride and groom wear traditional wedding kimono and the family wear suits. It is an interesting ceremony to watch once but probably not something you would want to do often. In terms of pilgrimages, these tend to be Buddhist. 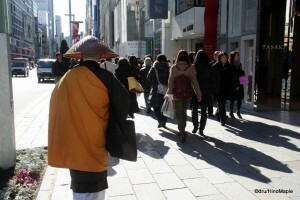 It is common in Japan to see various monks in a typical Asian rice hat walking down the street in monk clothing and a bell. They are often praying and soliciting donations from passersby. They will also pray for anyone who donates enough money. It is usually the fact that a monk is on a religious journey that they do this. It is a tradition to help these monks and anyone else on a religious pilgrimage. Death in Japan tends to follow Buddhist traditions. Most funerals in Japan follow Buddhist traditions. Due to the sensitivity of the issue, I’ll refrain from actually talking about it here, but I may do so in the future. Needless to say, both Shinto and Buddhism are the most “practiced” religions in Japan. Even Christians and Islams will practice Shinto and Buddhism via the various Japanese cultural traditions, depending on how religious they are. I have heard a story of a family that observed Shichigosan in a traditional Japanese park rather than a shrine due to their religious beliefs. While there is no rule saying you can’t visit another temple of worship, some would argue that taking part in a festival is participating in that religion. To be honest, in Japan, I would hardly call it being religious. Japan is a country which is open to various religions. It is not uncommon to see a church or a mosque within major cities. 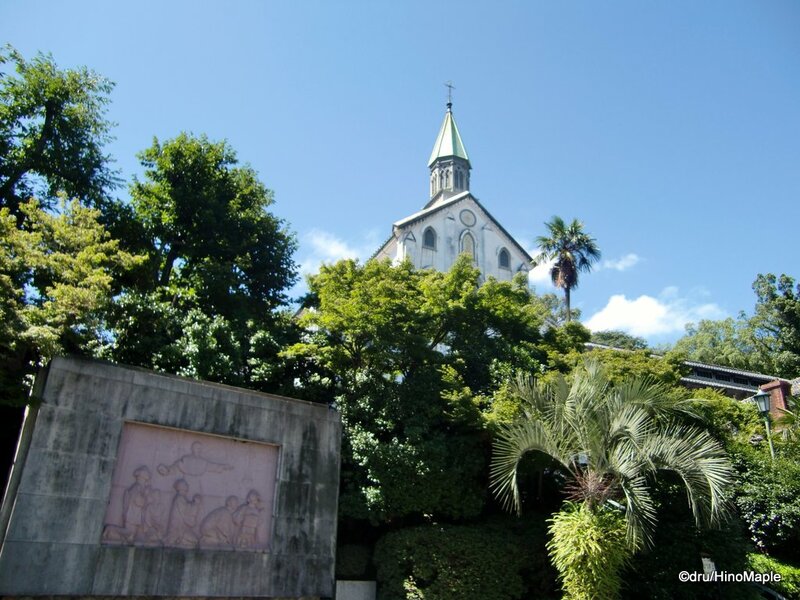 There are major centres where one religion is more popular, such as Catholicism in Nagasaki. A lot of this has to do with the history and spread of various religions in Japan from outside sources. Most people are predominantly atheist or agnostic. It is very rare to actually see someone wearing a sari, turban, hijab, or any other religious clothing. While it is common to see people wearing crosses, it is generally a fashion item rather than an actual religious proclamation. 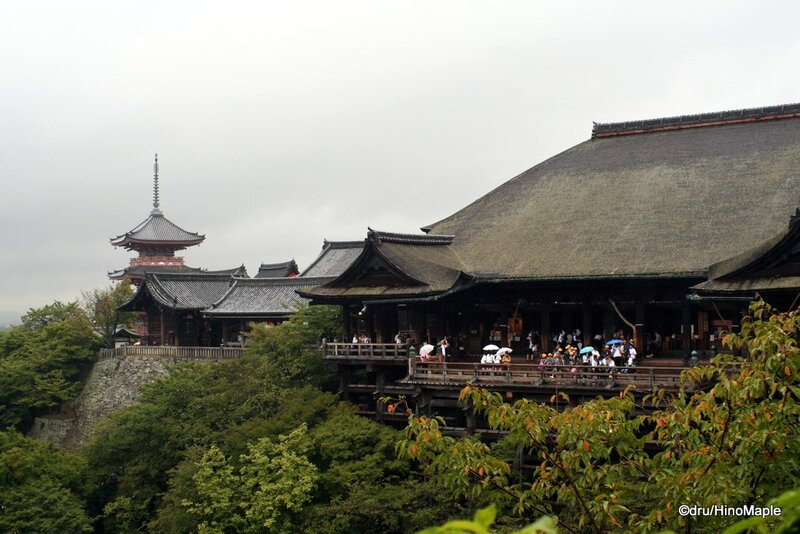 Visiting any temple or shrine should not be considered joining any Japanese religion but rather a good way to see and understand Japanese culture and the way people act in their daily lives. They may not visit temples or shrines every day but most Japanese people do make a habit of visiting one a couple times a year. This entry was posted in Culture and tagged Buddhism, Buddhist, Christian, god, gods, japan, ji, Jingu, Jinja, monk, religion, shichigosan, Shinto, Shintoism, shrine, temple, tradition by Dru. Bookmark the permalink. You know what they say: in Japan you’re born Shinto, marry Christian and die Buddhist. 🙂 I love the tolerance towards all creeds. Born Shinto, marry Christian, die Buddhist. Live Bushido? 😉 I think they did an interesting thing by merging everything either way. From my friends’ experiences while living & studying in Japan, Japanese are very tolerant to other religion and take extra effort to accomodate. I love it! That reads “omotenashi” or selfless hospitality. That’s why they are so tolerant, I’d say. I love how they try to make everyone feel comfortable when they are hosting an event. I have one friend who describes herself as a practicing Shinto-ist (? what is the term for a believer/practicer of Shinto? Shint-ic? Shinto-er? ??) She reads through “prayers” every night before bed, no matter where she is. I was fascinated when I learned about her practices as I hadn’t ever heard of such dedication to Shinto. I wonder how many there are with similar dedication? I know supporters of the newer Buddhist cults can be… dedicated… but I wonder about Shinto? I like how you say “Buddhist cults” as it really feels that way to m e. Reminds me of a friend of mine who was invited to one of the cult parties. He and his wife went and the couple who invited started talking and asked him “Do you believe in God?” and he said “Yes, I’m Mormon” and they stopped talking to him. 😀 He isn’t really Mormon anymore but it was a good way to get them to leave him alone. I hope the Shinto followers aren’t as… dedicated as the Buddhist cults. I’m always interested in religion (very american of me, people say). And because I’m a christian, a lot of Japanese people end up discussing religion with me. I know everyone thinks that many Japanese are athiests but in my case, a lot of my friends are “practicing” buddhists. They go to youth meetings and study groups that they have at the temple of their sect (I have no idea what the different types of Buddhism there are!). The most surprising thing for me was learning that Buddhism is not about worshiping a god but protecting (I can’t find the right word…we say 祭る) their ancestors. Is that correct? I still don’t know too much about Buddhism but I love learning about different religions. Japan can be considered a friendly sort of country where any religion can sneak into the culture. On the other hand, it may just be that the religion needs to adjust to this culture in order to make it’s way through to people at all. Either way, Buddhism is very interesting and I’d like to read about your thoughts on the funeral process as well (very curious to hear what is sensitive about it!). Thanks! It took a lot of research to write this one. I grew up Catholic, but I’m not really practicing it anymore. Once they stopped midnight mass at my, then, local church for Christmas, I hadn’t been to mass in years. I sometimes get students asking me about Christian related things. Buddhist weddings have kimonos too? Never been to one so I had no idea. I guess death is sensitive…but I feel like that is totally separate from the actual funeral process. But I also agree that taking pictures at a funeral can be inconsiderate at times. Maybe just find pictures online when describing details? I’m not a fan of using pictures that aren’t my own. Although I do have an idea. Just photos of old cemeteries in the shrines. Maybe a Tokugawa or something. 🙂 I have too many other things to write first, but I’ll get to it someday. Remind me if I don’t update it in a long while.